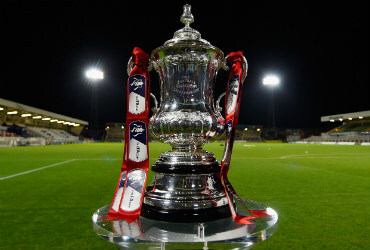 FA Cup live streams: Chelsea v Man City, Tottenham v Palace! As you may know, Bet365 stream a huge variety of sports events from across the globe, including the English FA Cup 2015/16. This Sunday Crystal Palace are drawn away to Tottenham Hotspur in the 5th round. The two teams have met 5 times in the competition previously and the last meeting was in 2004 at White Hart Lane when the home side ran out 3-0 winners. Palace are without a win in 9 Premier League matches and they’ve not won since winger Yannick Bolasie was injured against Stoke on December 19, he’s due to return this week and this is predicted to give them a timely boost as the club begin to feel the pressure. At a slightly later kick off time of 4pm, Chelsea are host to Manchester City at Stamford Bridge. The Blues have already suffered a setback in the lead up to the fixture as manager Gus Hiddink has expressed concerns about the fitness of captain John Terry, after his hamstring injury which resulted in the defender being ruled out of midweek’s Champions League game at Paris St-Germain. A triumph at Stamford Bridge on Sunday will secure a place in the 1/4-finals of the FA Cup for the current Premier League Champions who are languishing at 12th in the table. Man City themselves have faltered in their Premier League aspirations after 2 defeats against title rivals Leicester City and Tottenham Hotspur, so that makes this FA Cup game a must-win for both clubs. * A funded bet365 account is required for access. Exclusion list apply.